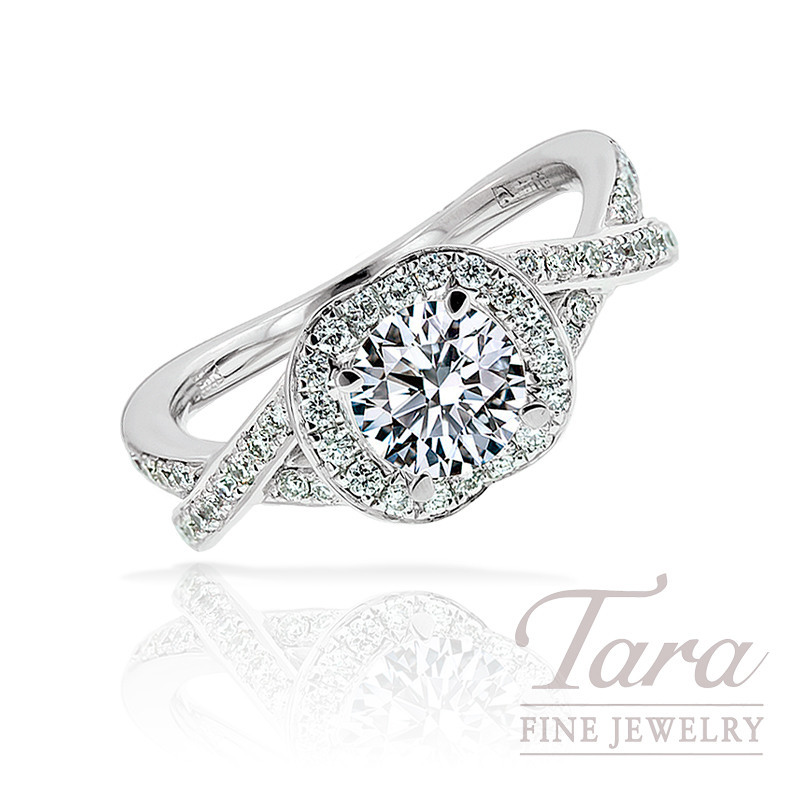 This gorgeous A. Jaffe design features beautiful crisscrossing diamond bands that flow into a sparkling diamond halo. Set in rich 18k white gold, this A. Jaffe semi mount is designed with 50 radiant diamonds, .34tdw, that wonderfully lights the way to the featured center diamond. Tara Fine Jewelry Company, Atlanta's premier jeweler, proudly displays the beautiful A. Jaffe Collection as well as gorgeous jewelry from top designers from around the globe. Whether you are looking for the finest designer jewelry or luxury timepieces by Rolex, Omega, Tag Heuer or Breitling, Tara Fine Jewelry Company is dedicated to delivering the highest quality selection and service.